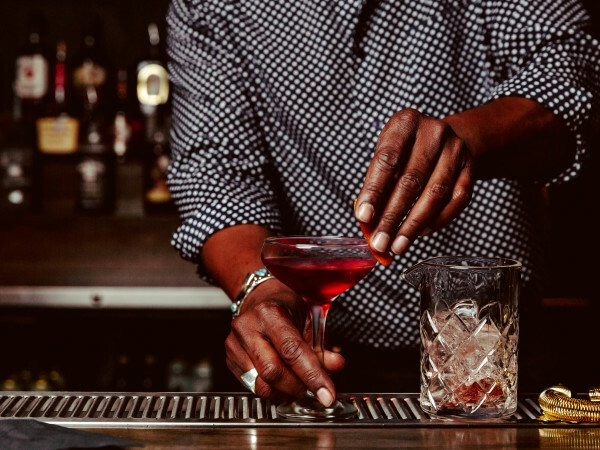 With the pace of Austin’s restaurant and bar scene still moving at a breakneck pace, sneeze and you’ll miss a major opening. Such was the case with Back Lot, the bar that quietly took over the legendary Nasty’s space right before New Year’s Eve. The campus dive changed hands back in September 2017, when Nasty’s owner Jack Bloom sold the 20-plus year old bar to Workhorse Bar owners Steve Ettle and Brent Broyles. After a little cleanup, the bar greeted customers on December 28. If you are planning on doing some weekend drinking, don’t expect a drastic transformation. Gone is the clutter of pennants, framed photos, and neon signs, replaced with a casual but cleaner look incorporating murals, collection of license plates, and more windows. Pool tables and dart boards also remain in the space, albeit the latter with snazzy new wood covers. The transformation brings to mind the recent rehab of Longbranch Inn into Nickel City. 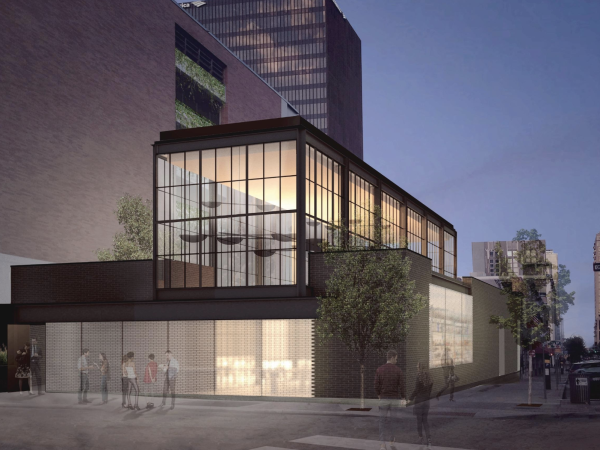 The old Austin feel is still there, with a subtle makeover catering to the tastes of contemporary patrons. As with owners Steve Ettle and Brent Broyles' other bar, local beer is the main attraction. 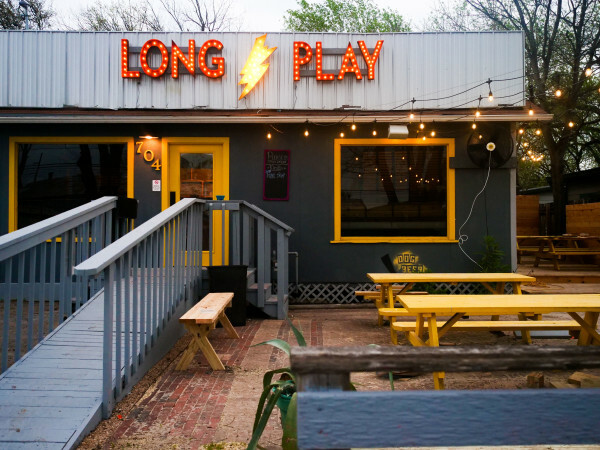 The almost 30 taps cover a range of Texas brews from Live Oak, Austin Beerworks, Thirsty Goat, Real Ale, Independence, and more (plus the addition of Miller Lite in keeping with the dive bar spirit). Mixed drinks and wine are also available. 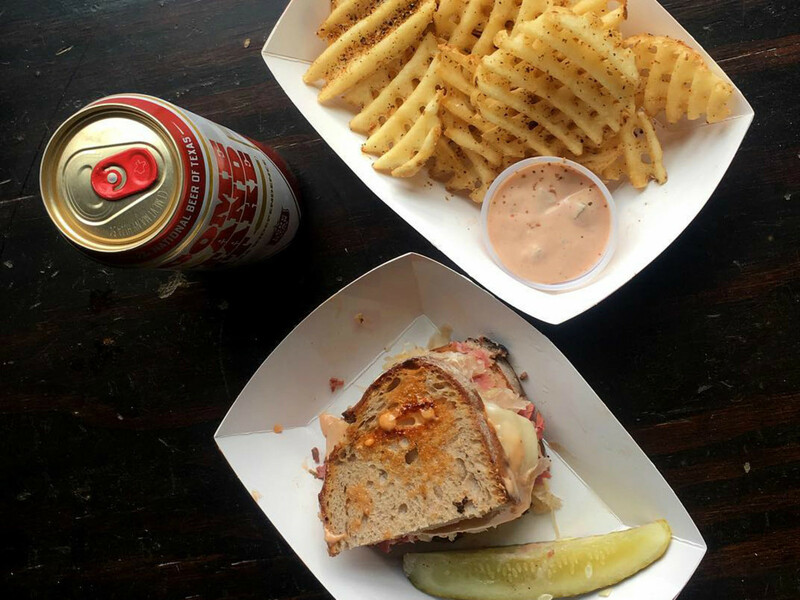 Otherside Deli, the patio food truck that preceded Back Lot’s opening in late November, is already drawing raves for its pastrami sandwiches (both meaty and vegan) and Outer Limits fries loaded with pastrami, Russian dressing, Swiss cheese, bechamel, and sauerkraut.